One of the most popular subdivisions in Lake Mary is Heathrow, an unincorporated suburban community in Seminole County. Developed in 1985 by Jeno Paulucci as a private, gated, master-planned community there are about 2,000 homes in Heathrow (making it a population of approximately 4,000 people). Within Heathrow there are smaller subdivisions. Please refer to the list below for a quick overview of some subdivisions within Heathrow. The area around Heathrow (including the Markham Woods area) is one of the fastest growing and most desirable areas within Seminole County (North of Orange County/Orlando). 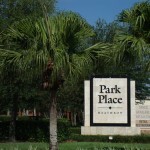 A popular leisure and entertainment spot for people living in the area is Colonial Town Park, often referred to as “Downtown Heathrow” or the new downtown Lake Mary. Colonial Town Park consists of various trendy restaurants, bars, boutiques, coffee shops, businesses, spas & salons, doctors offices, a grocery store (Publix), and movie theater (AmStar). 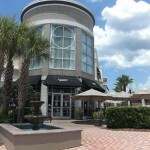 Heathrow is also located virtually within the Lake Mary business corridor. International Parkway is home to many high tech companies and national international firms, including Mitsubishi, Chase, and the headquarters of AAA. No wonder this area is said to be one of the fastest growing in the country. 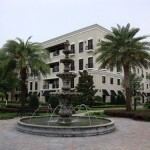 The Heathrow in Lake Mary area will put you close to where things are happening in the Central Florida area. 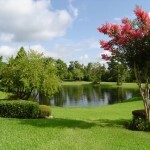 This is an area where true residents of Central Florida live and play. Located within minutes of Interstate 4 and toll road 417, and only about 20 minutes from Downtown Orlando (19 miles) and Winter Park, Heathrow is a sought after location.You will also be close to the beaches: Daytona and New Smyrna Beach are only a half an hour car ride away. Another benefit of living in Heathrow are the excellent schools and safety (the community has two 24/7 guard gated entrances and was rated the 4th safest community in the entire state of Florida). The median household income in Heathrow is, according to the Orlando Sentinel, one of the highest in Central Florida. 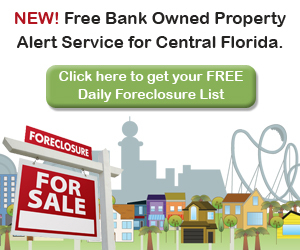 Please contact us at 407-340-6458 to receive more specific data via Email or mail or send us a quick message and we will be in touch!